South German Spot – or also known by the names: Heurté de L’Allemagne du Sud, Mascherato della Germania del Sud, Южно-Немецкий Пятнистый – is a variety that originated in southern Germany, and is declared an ancient race Württemberg, but no record has been found since when it began to be developed (only estimated likely since the 18th century or earlier). 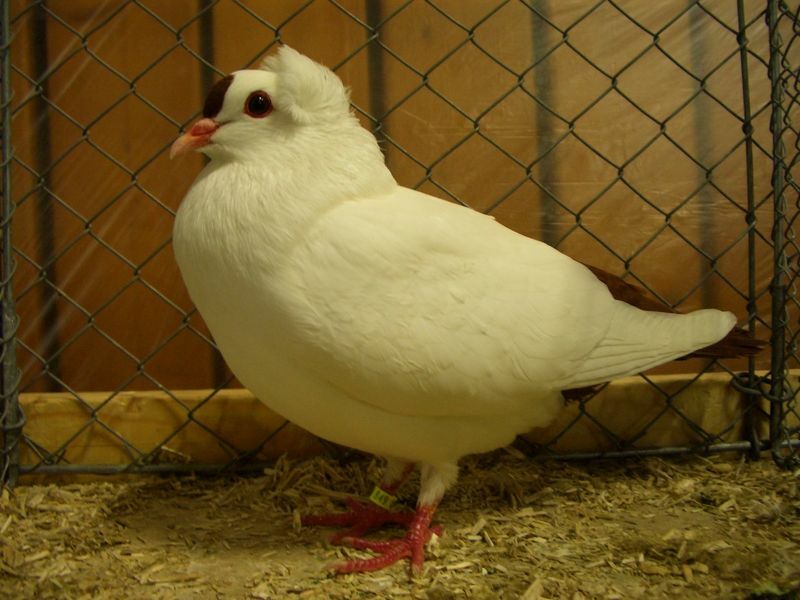 This variety classified into german colour pigeons ( farbentauben ) type has also been very popular, and in addition to its home country, development has also been carried out in several countries in Europe. This variety was developed specifically for the purpose of improving the quality of appearance, even though it actually has good flight ability.